Today I’m welcoming Verna Cole Mitchell, author of Don’t Frighten the Pansies, a collection of poems that will make you laugh and cry, and reflect upon your own growing-up experiences. Thank you for stopping by, Verna! Verna Cole Mitchell attended Southern Wesleyan University and graduated from Indiana Wesleyan University. She and her husband, Leon, lived in Indiana and South Carolina before they settled permanently in Charlotte, North Carolina, 47 years ago. They have two children, four grandchildren, and two great grandbabies. A secondary English teacher for 37 years, Verna is currently an editor and a writer, whose work has appeared in a number of publications, including Teachers of Vision and Looking Back. Her poems and nonfiction articles have placed in several contests. From the time I learned to read, I was captivated by the world of imagination. I enjoyed short stories and novels, but it was poetry that held me in its spell. As I studied the works of great poets when I was in school, and later as a secondary English teacher with my students, I worked to create pictures and sounds and messages in poems of my own. Through the years, I wrote prose and poetry as inspiration came to me and collected the work in folders. My husband and I did considerable traveling, and I kept extensive diaries for each of our adventures. A challenge to write is one of my greatest inspirations. I started entering weekly challenges, offered at Faithwriters’ website, about seven years ago. Though some entries have been prose, most of my entries have been poetry. A large number of these have been selected to be published in upcoming anthologies. 3. Tell us about your writing process. Usually I take some prewriting notes: brainstorming of lists, phrases, thoughts, rhymes. Then I put the notes aside and think about the topic for several days. If an idea wakes me up at night, I get up and write it down so it won’t disappear. Sometimes during a personal Bible-study time, an idea will come fully formed, and it’s just a matter of sitting down to type it on the computer. Once I have completed a piece or poem, I read it aloud and edit and edit and edit again till it’s the best I think it can be. Most of the time, I then read it to my husband and send it to two fellow writers and to my editor for their suggestions. 4. What are your favorite lines in the book? It is difficult to choose favorites because they’re all close to my heart, but I’ve selected some lines that I like. God turns His sounds of nature on. For language that is ungrammatical. It hurts my ears; indeed, that factual. The pain I feel is truly actual. In Will You Still Hear Me Call Your Name? Moments of music seen through a maze of years. To dance a happy, impromptu jig. But not his indomitable spirit. 5. What is your most interesting quirk? My husband and I enjoy taking walks together. Sometimes he will say, “You’re working on a poem, aren’t you?” Ever the romantic, he holds my hand, and I am unconsciously tapping out with my fingers the rhythm of a poem I’m working on. publish to a much wider audience, and Don’t Frighten the Pansies was born. Since then, it has been my goal for all who read my poems to find inspiration in a picture or message that resonates with them personally. I hope my words will bring joy with the reminder that God’s love is unchanging and He is ever faithful. I have two new collections of poetry ready to be published. Somewhere Beyond the Blue has poems of imagery, the church, family, praise and encouragement, and aspiration. A Splash, a Dash, a Batch of Humorous Poetry is a shorter book with a smile to be found in every poem. Poems in this collection will make you laugh and cry and reflect upon your own growing-up experiences. Most of all, you will be encouraged by reminders of God’s forever goodness and love. 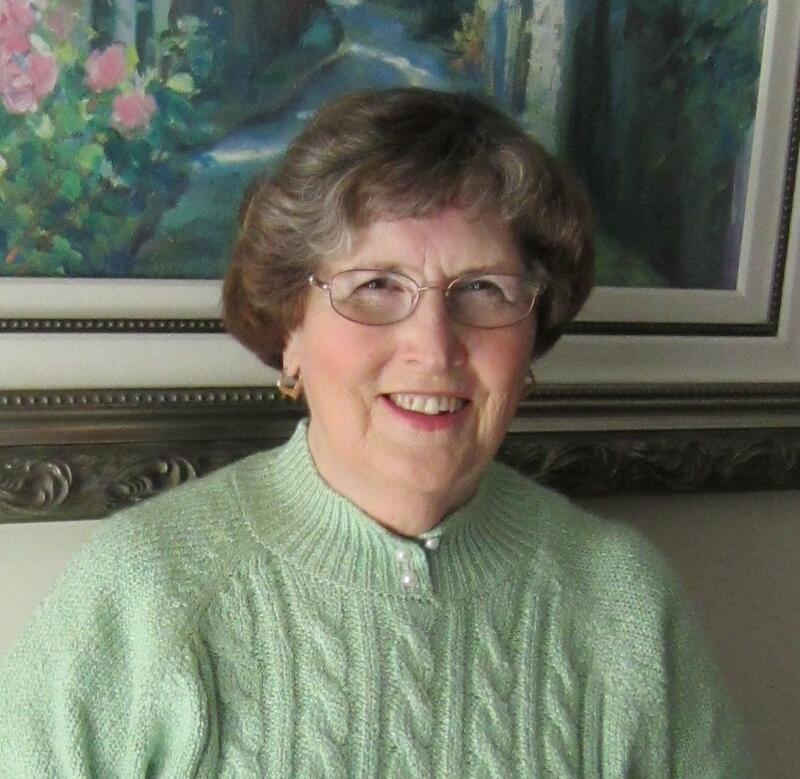 Verna Cole Mitchell is a poet, teacher, editor, and published author of poems and short stories. 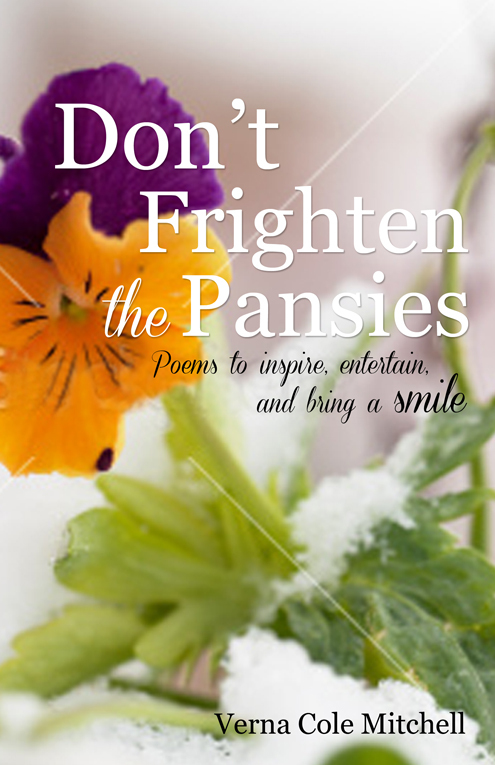 Don’t Frighten the Pansies, her first book of poetry, contains some of the poems she has written through the years. Whether you enjoy the pictures of God’s world she paints with words or her descriptions of the security and hope He offers, these poems will inspire you. Lovely interview ladies! It’s fun getting to know you a little better Verna. 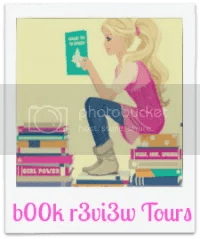 Love Verna, the collection, and the interview! Can’t wait for her next collection. For years, I have been a big fan of Verna’s poetry. She is a master of poetry with her eloquence and message. Her meter is perfect making each poem a joy to read aloud, and then to capture the depth of each poem you’ll want to read it a second time. Her writings truly bless the reader. Verna is one of my favorite poets and has opened the world of rhythm and rhyme to me. Many thanks to Elizabeth for the interview, and how very thankful I am for my friends! You are welcome! Your poems are great!